held during Asia Week New York, from March 15th  24th, 2013. 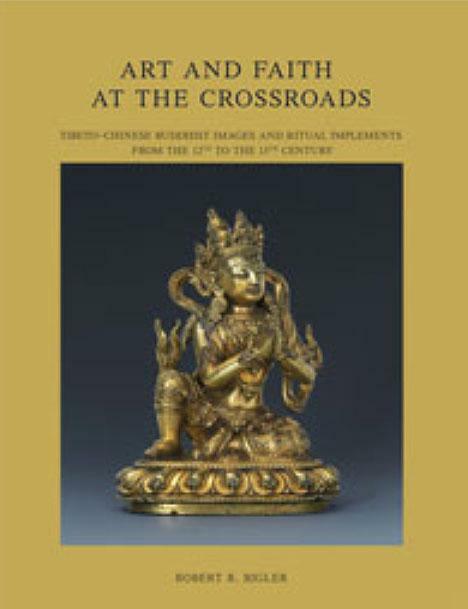 For well-known historical and geographical reasons, the Chinese connection to, and interaction with Tibetan Buddhism and devotional arts, have been deep, complex and long lasting. The focus of the catalog and related exhibition is on the crucial and most inspired phase of this relationship which ultimately culminated in a specific and clearly defined -Tibeto-Chinese- style in the first quarter of the 15th century during the Ming period. As the term suggests, most of the objects displayed in this presentation depend on an iconographic Tibetan background in connection with Vajrayana Buddhism, although they were produced in China. After over a decade of preparation and research, this is the first exhibition entirely dedicated to this fascinating topic. Within a group of 60 works of art, there are Buddhist images, ritual objects, sutra covers, stupas and textiles  many of which are rare and shown for the first time.